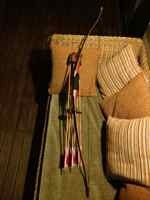 To the general public an arrow is an arrow no matter what style of bow is used. 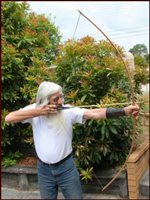 i know it's not a trad hunter but at the end of the day the authorities won't discriminate they'll simply pile all archers into the same category and ban us. all in one area can't help but think same person or group of people involved. this combined with rampant poaching will be enough to shut the entire hunting industry down if we aren't all careful. i really hope the Queensland laws change for hunting public land soon but with this in the media regularly i' not liking our chances. Centaur Triple carbon elite 2pce 60# @30"
Flat line Raptor 45# @30"
Norseman Wrath 2pce 54# @30"
Norseman trilam ELB 104# @ 32"